Representatives of the project “Protection and Promotion of Property Rights of Internally Displaced people, Refugees and Returnees Upon Readmission Agreements”, funded by the European Union and whose beneficiary is the Office for Kosovo and Metohija, presented the report “Destroyed and Damaged Property of Internally Displaced People from Kosovo and Metohija” at the panel discussion held on June 5, 2017 in Belgrade. 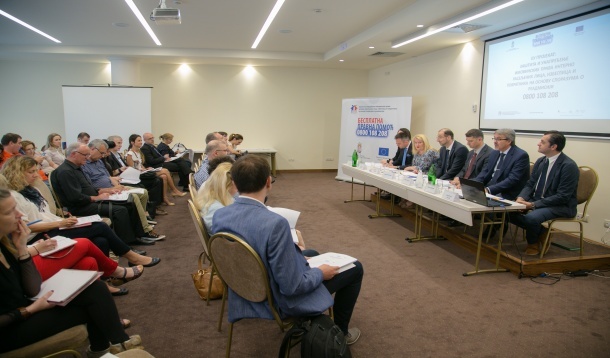 Draft Report represents the result of the work of the project’s legal team led by the expert for social and legal matters Branislav Ristic and concludes that the protection of property rights in all its manifestations still is a significant challenge. The Assistant Director of the Office for Kosovo and Metohija Zoran Bojovic opened the discussion emphasizing that the issue of destroyed and damaged properties of IDPs from Kosovo and Metohija is one of the key issues to start from in finding durable solutions for improving the situation of this vulnerable group. Presenting the Report, the expert for social and legal matters Branislav Ristic said potential solutions should be looked for at the international community level, as well as the regional. “Comprehensive and sustainable solutions demand the improved level of trust and the active collaboration within the region. 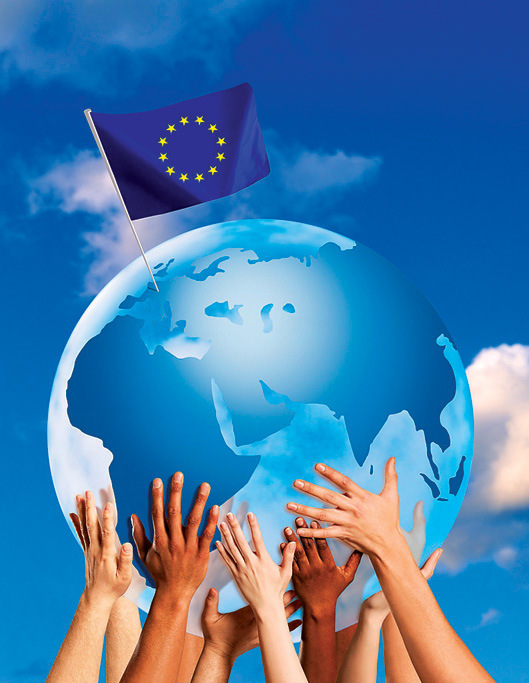 Programs that support any shape of permanent solutions should be developed in various directions and should encourage mutual action of the partners, together with disposable potentials of internally displaced people. The Skopje initiative, whose goal should be that everyone whose property is damaged or destroyed receives an adequate financial reimbursement, provided they are unable to get a natural restitution, should be affirmed”, Ristic pointed out. Head of the Department for justice in the Office for Kosovo and Metohija Igor Popovic pointed out that the professional legal aid is mandatory in order to protect human rights of complainants because the proceedings are such that legal counseling and representation at courts are mandatory in every system. “Legal aid for obtaining and facilitating the delivery of documents necessary for solving cases should be very flexible. Specificity of the displacement, level of the economic vulnerability, lack of documents, difficult access to institutions, duality of legal systems, etc., impose the need for serious approach in offering legal aid” said Popovic. Popovic also indicated that the project’s legal team should have paid special attention to the Cadaster, since that was the only record of property in KiM and that it was crucial that legal owners were registered in Cadaster, since there were years of practice of registering Albanians as owners of Serbian properties based on forged purchase agreements, especially in municipalities Pec, Istok, Klina, Orahovac, Kacanik and Dragas where the original documentation is kept. 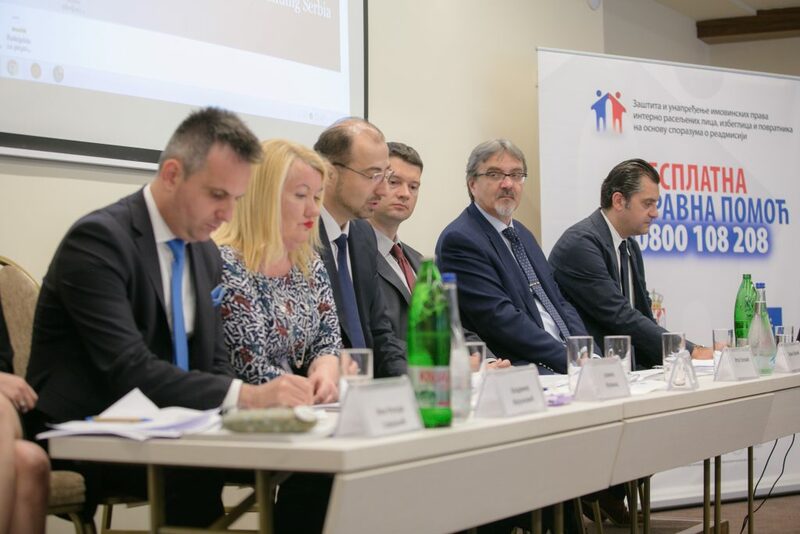 Besides the representatives of the Office for Kosovo and Metohija and the project, the representative of the Commissariat for Refugees and Migration (KIRS), the UN High Commissariat for Refugees (UNHCR) and NGOs Sveti Spas, Balkan Center for Migration, Danish Council for Refugees, Praxis, etc.